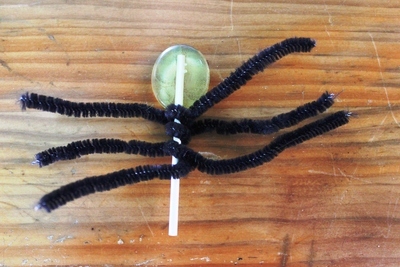 These Spider Lollipops are a fun way to add some Halloween fun to kid's "trick or treat" bags. They are really easy to put together - you could make them as a surprise, use them for your next Halloween theme party or make them together with your children just for fun. 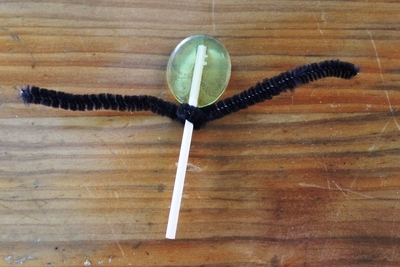 Take the lollipop and wind the first black pipe cleaner around the stick to make the first two "spider legs". You can leave the wrapper on or take it off before hand depending on how soon you plan to consume the lollipop. 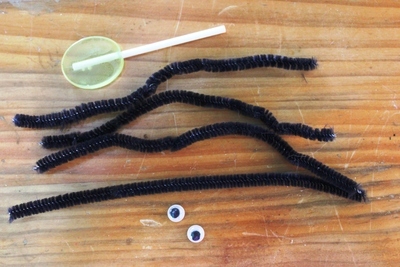 Add the remaining black pipe cleaners to create all eight spider legs. Stick on the googly eyes using a dab of water or draw them on before you take off the wrapper. 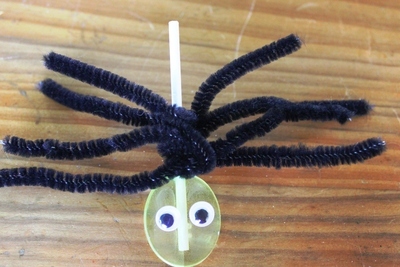 Make a whole web full of furry black spiders and I'm sure you'll enjoy these spooky Halloween treats.